Sorry, Salmagundi West is permanently closed. A diamond in the rough antique store in Gastown, Vancouver, filled with all manner of treasures to suit a curious palette. 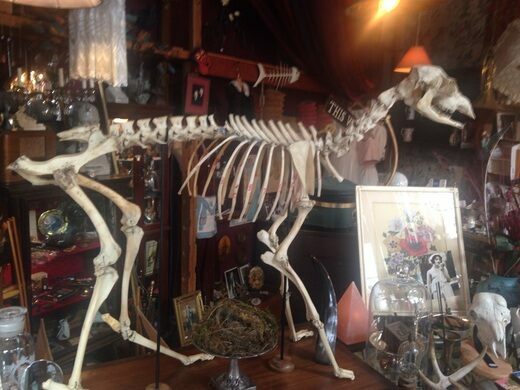 Think of a hidden attic in a Victorian house belonging to a life-long collector of unusual pieces; wide variety of modern curios items may also be found, including not-your-typical greeting cards. 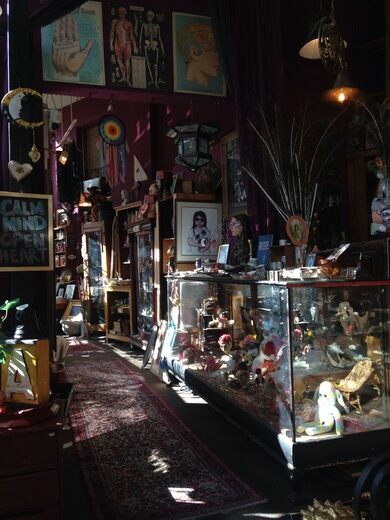 The store is on the ground level and spreads to the basement with floor-to-ceiling postcards, watch parts, antique cameras, doll parts, spectacles, and an array of beautiful finds in as beautiful presentation stands - or behind glass. Feel free to speak with the owner or staff as they are friendly, helpful, and happy to help you identify the many interesting finds around the store. 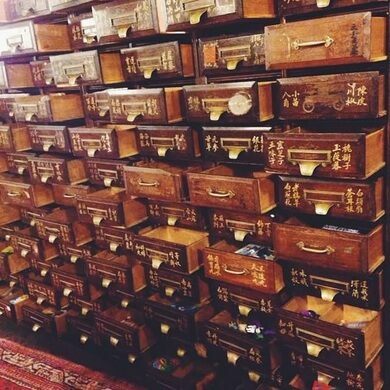 The best part of the store is a fantastic Chinese apothecary chest of drawers filled with donut-scented air fresheners, Japanese soaps with a bluebird motif, wall hooks in the shape of fingers, fortune telling cards, and other wonderful and whimsical curios. The store is also quite well known for its ghosts. Ask a staff member what they’ve seen or inquire about what other customers may have experienced to get the full experience. Update January, 2018: Salmagundi West is closed at this location as of January 31st. 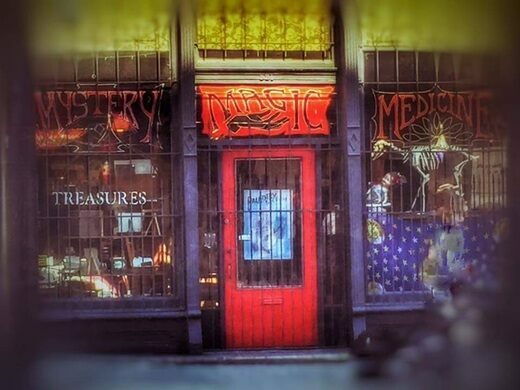 They’re reopening in a yet to be announced (secret) location. Look for the black and red triangle shaped building that intersects West Cordova Street and Trounce Alley.